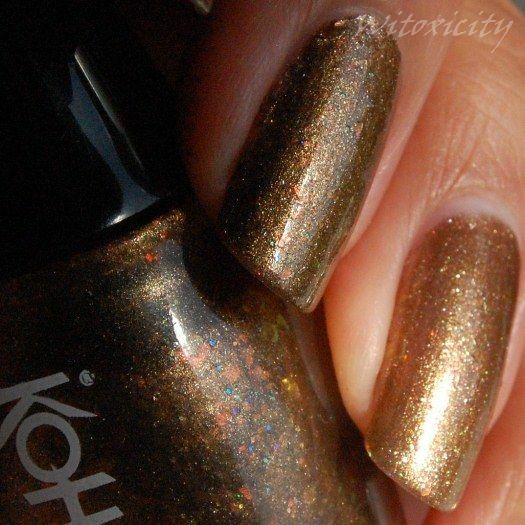 It's been a long time since I wore a KOH nail polish, so here's something I'm wearing this week, one that I bought some months back: Bronzation. It's a metallic foil and very appropriately bronze, of course. I've got two coats on here. The finish was expectedly gritty, so a top coat was needed. 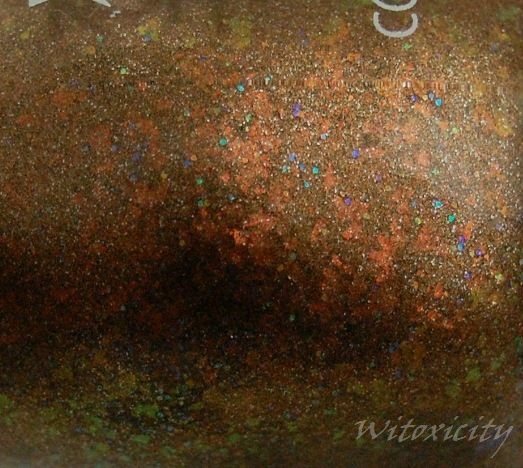 At a distance, it looks like just a plain foil polish. 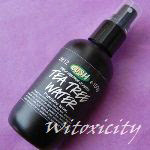 It's another story upclose. The photo below shows the difference in how Bronzation looks in the shade (nail on the left) and in sunlight (nail on the right). Bronzation has irregular-shaped flakies that are light copper or dull apple green in colour, depending on how they catch the light. Sometimes, you'll also see some flashing bright green, aqua and blue. Bronzation is like chaotic opulence. I hope this isn't photo overload. I just couldn't resist taking a picture of Bronzation with my little bronze singing bowl. Love the name :Bronzation! 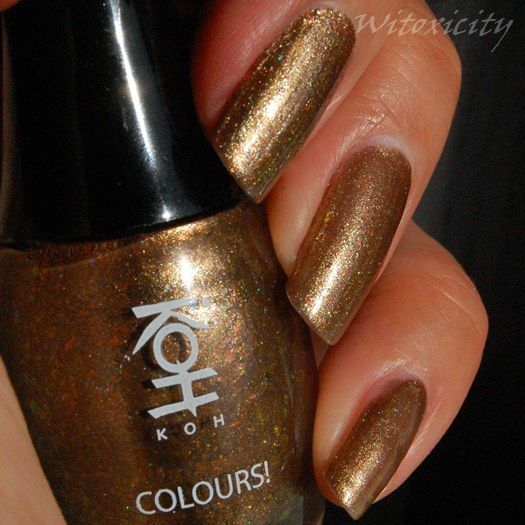 Bronze based polishes are very flattering on most skin tones. This looks lovely on u!!! 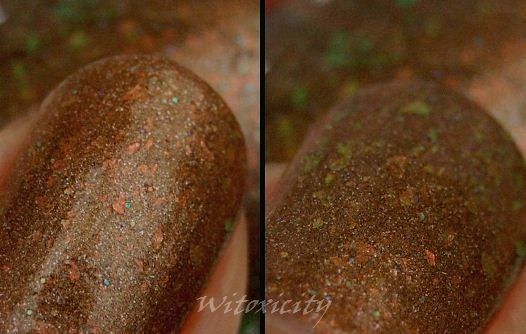 Awesome bronze and flakies make it a very especial color. I'm quite fond of this shade. 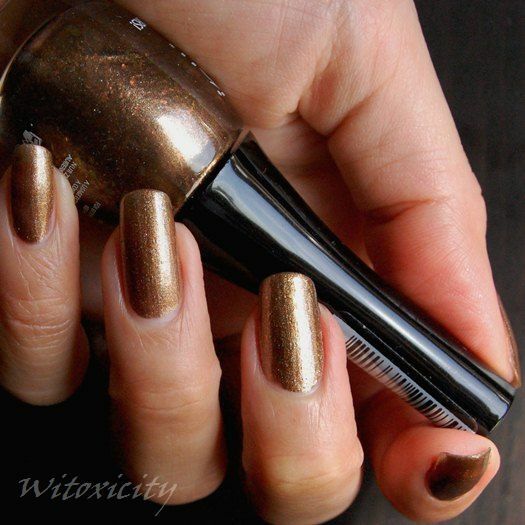 Could it be a dupe for OPI Shim-Merry Chic from Holiday 2009? I think so! Do you have it to compare?